Some advanced forms may require an internal calculation to take place as part of the form (rather than afterwards during the analysis). 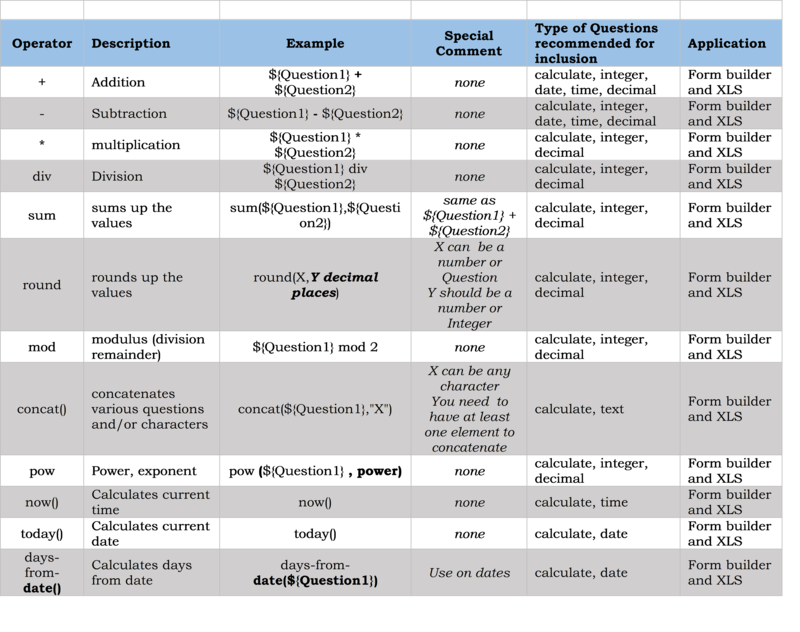 This can be done by adding a Calculation, and writing the mathematical expression into the question label field. 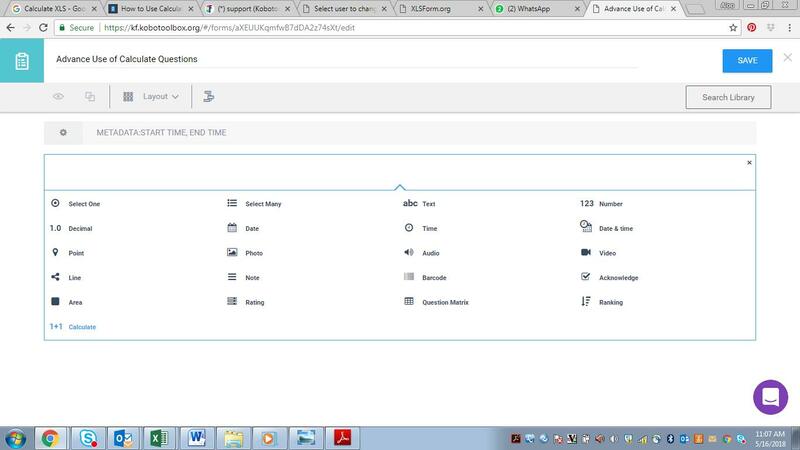 This article provides step-by-step instructions on how to add calculations while using the form builder or by downloading and adding it directly to the XLSform. To view a complete and detailed list of all functions please visit ODK's excellent XPath Functions documentation. Step 2: Type your calculation formulae where you would typically write your question. Your calculate question will not be displayed when conducting data entry/collection either on Kobo Collect or Enketo. It will, however, be displayed when looking at the data in the table view or in the downloaded version. We recommend this approach when working with more advanced calculate functions. 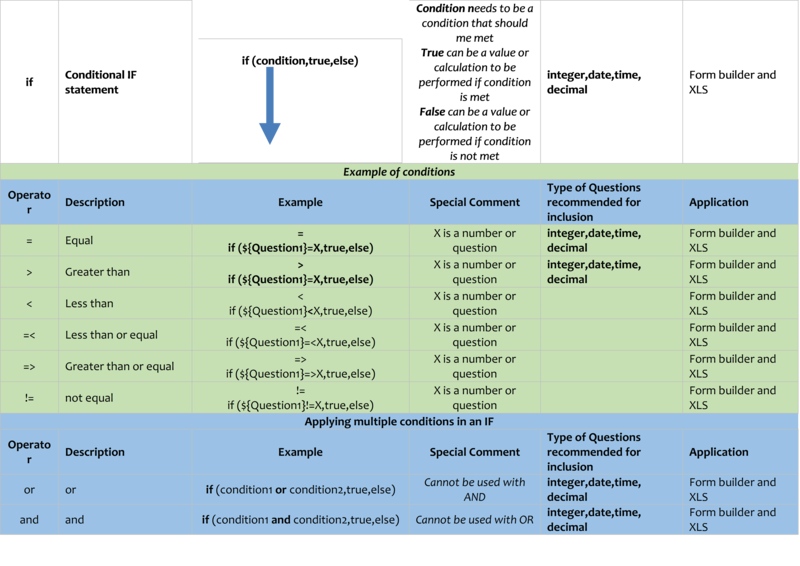 XLS forms allow for use of calculate function on different types of question types.